Take carpeting and flooring products, for instance. According to Nielsen, 95% of all consumers in the market to buy floor-coverings. No other local media option comes close. 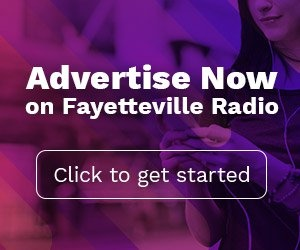 Amie Crouter, co-owner of Cape Fear Flooring in Fayetteville has been advertising on local radio for more than 18 years. 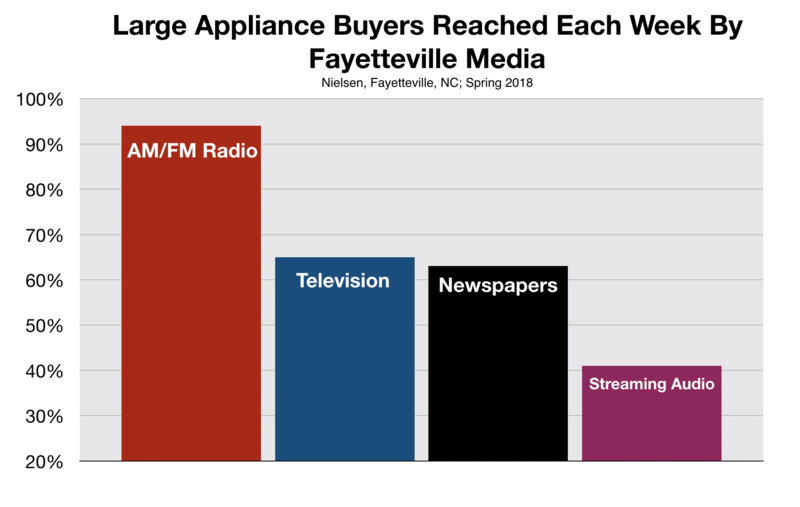 Fayetteville radio's mammoth reach is not just limited to carpet buyers. 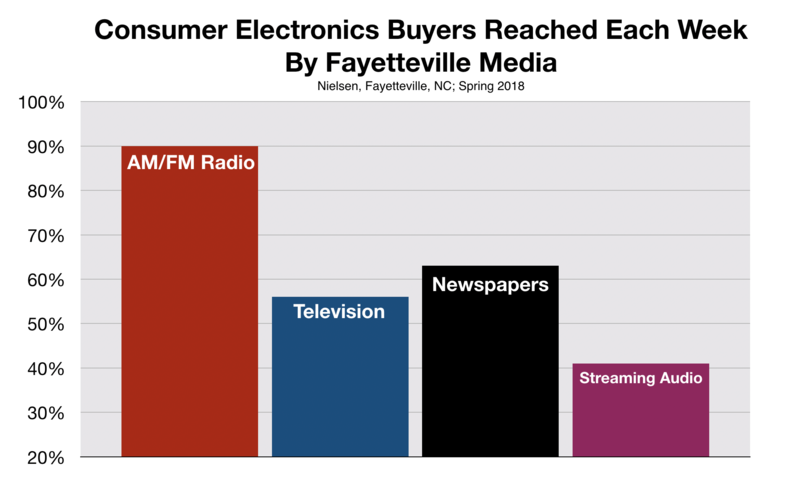 Furniture buyers, too, are almost universally reached by radio as well. 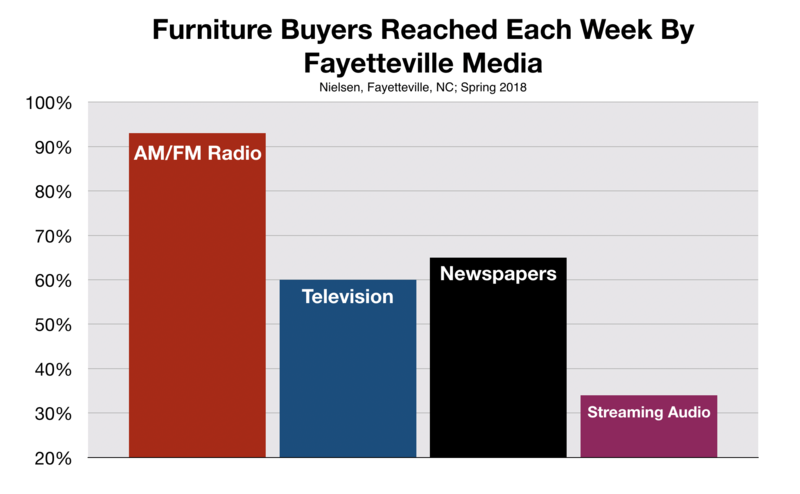 Kimbrell’s Furniture, a small business that has been in business in North Carolina since 1915, has only recently discovered the value of advertising on Fayetteville radio. According to Cheryl Parker, General Manager of Kimbrell’s Person Street, Raeford Road, and Ft. Bragg Boulevard locations, up until now, the company’s use of radio has been sporadic. 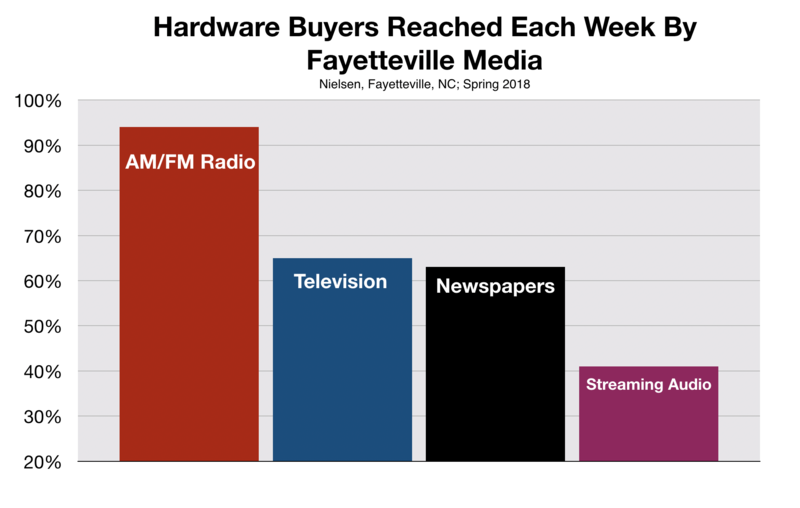 This year, however, Ms. Parker convinced her district manager to advertise on Fayetteville radio continually for six-months. 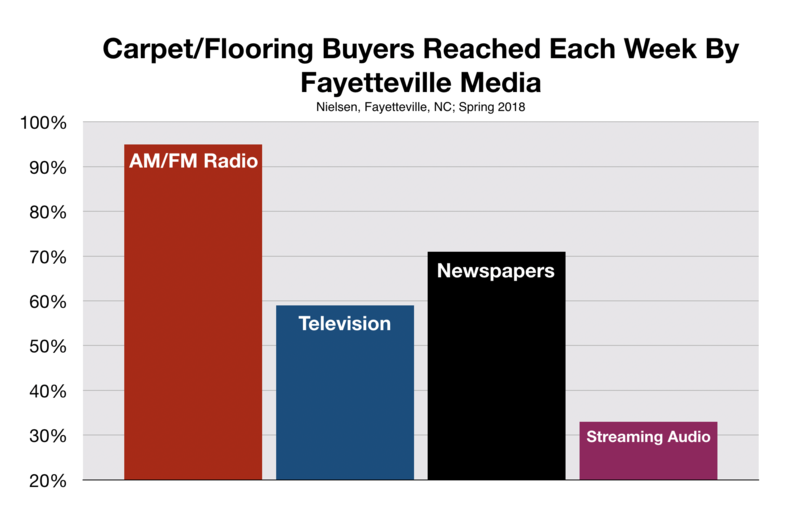 Clearly, radio advertising provides Fayetteville small business owners with access to almost every consumer in the market for carpets and furniture. Radio's retail dominance also extends to the garage. 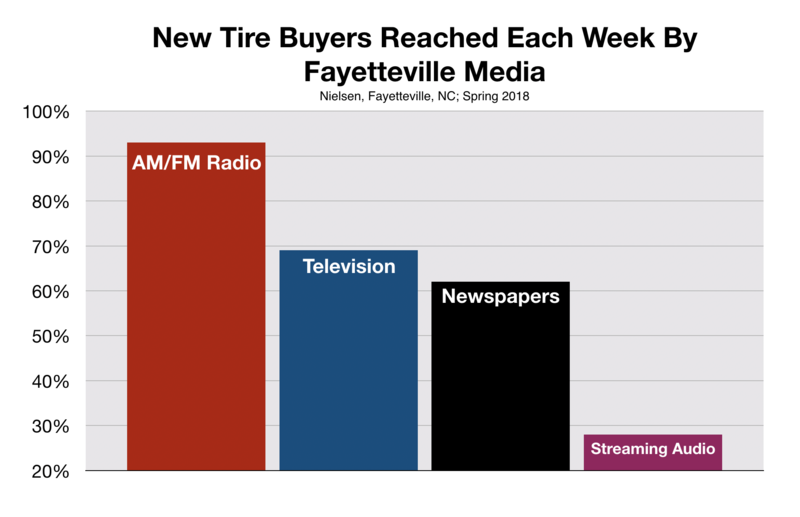 The medium reaches practically every consumer in the market for new tires. Joe Quigg began advertising on Fayetteville radio shortly after buying Ed’s Tire and Auto service from the original owner, Ed Melvin. “Ed, who served as my mentor for the first few years, had been huge in yellow pages and newspaper advertising,” says Mr. Quigg. “He feared that if we quit advertising four days a week in the newspaper, then the world would end. 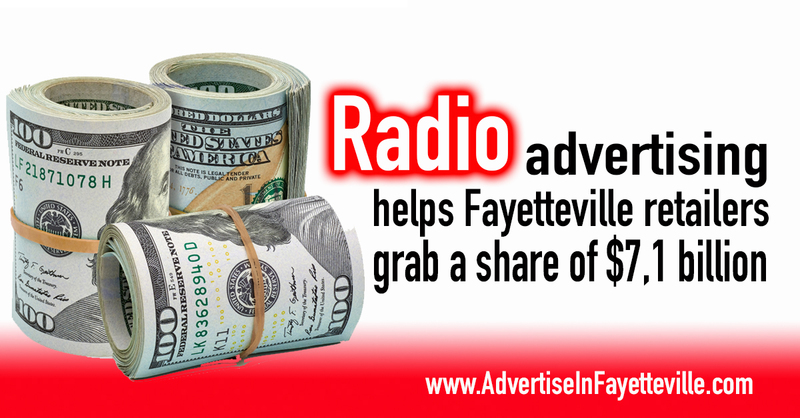 As his advertising strategy began to show positive results, Mr. Quigg stopped newspaper advertising altogether and started adding more Fayetteville radio stations into his mix. After comparing the value of radio advertising to other media, Deloitte, the world's largest business consulting firm suggests that "radio "should be a big part of the mix for those buying advertising." Advertising expert Doug Schoen came to a similar conclusion in an article he published in Forbes.